Webinars and training videos are a great way to learn more about Nevada's Big Give campaign strategies, and put your organization on the path to success! Join us for a live webinar with your Nevada's Big Give team, or check out the pre-recorded training videos designed to help you learn more about specific topics of all levels. No matter the size and shape of your organization, we've got the tools to help you succeed! Learn everything you need to know about Nevada's Big Give, including how to register your organization for the big event and the features available to make your organization as successful as possible. We’ll conclude by answering any of your Nevada's Big Give questions and highlighting the resources available to make getting ready for Nevada's Big Give a breeze! With only a few weeks until Nevada's Big Give, there’s still plenty of time to make sure your Nevada's Big Give campaign is ready to go. In this webinar we’ll go over last minute tips and best practices to engage with your supporters and be successful on Nevada's Big Give. The Nevada's Big Give team will also be available to answer any and all of your last minute questions. For organizations in search of the Nevada's Big Give essentials, look no further! 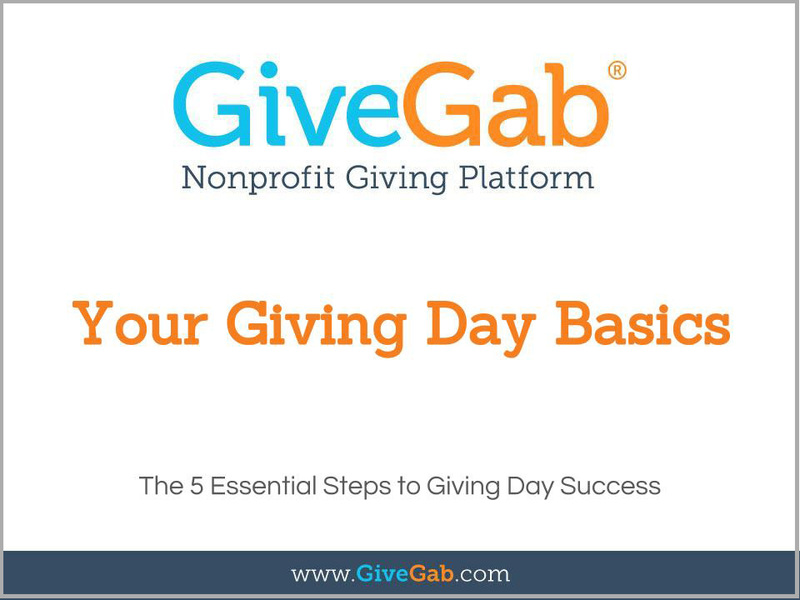 Our 101 Level Training Videos will highlight some of the most important steps every organization should take to prepare for a successful Nevada's Big Give campaign. Perfect for organizations of any size or capacity! Interested in participating in Nevada's Big Give? We'll cover the benefits of participating in a giving day and how to sign up your organization to be a part of the fun! We’ll also point you towards other tools and resources available to make your giving day as successful as possible. Are you excited about participating in Nevada's Big Give, but not sure where to start or what to prioritize? This training course will highlight the five essential steps to ensuring your organization has a strong showing on Nevada's Big Give without exhausting your limited time and resources. Your Nevada's Big Give profile is the first thing your donors will see during the big event. 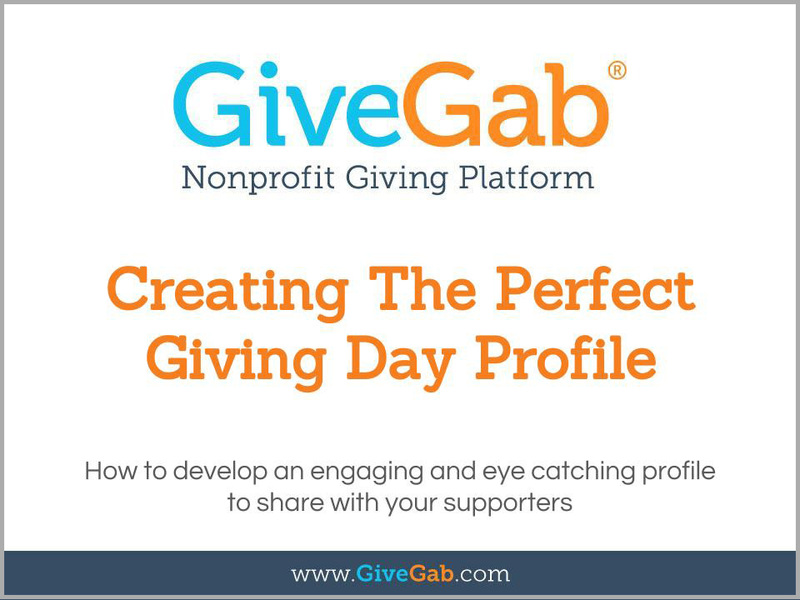 This training course will show you how to create and customize an engaging Nevada's Big Give profile that will entice potential supporters and successfully highlight your organization’s unique stories. You’ve completed your Nevada's Big Give profile, and now it’s time to share it with the world! We’ll cover the many ways your organization can promote Nevada's Big Give across multiple platforms as well as best best practices for creating action driven content for your supporters. After your success on Nevada's Big Give it’s time to thank the supporters who helped you reach your goals. In this training course we’ll cover how to thank all of your donors effectively and share tips, strategies, and best practices for donor stewardship success on Nevada's Big Give and beyond! Take your Nevada's Big Give campaign to the next level! In our 201 Level Training Videos we'll highlight ways in which your organization can run a successful Nevada's Big Give campaign through more specific strategies and best practices. Before you dive into your Nevada's Big Give campaign, take the time to assess your goals! 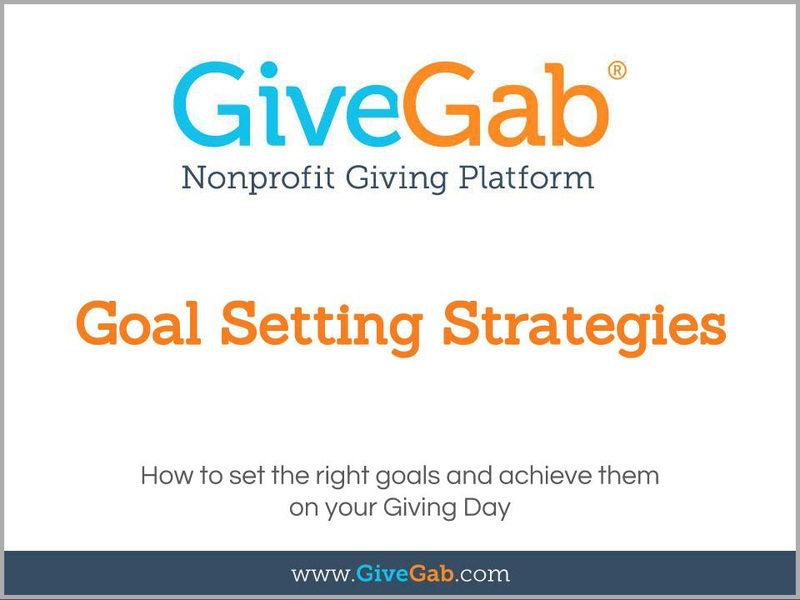 In this training course we’ll share the importance of setting clear goals as well as best practices and strategies for how you can make the most out of Nevada's Big Give. 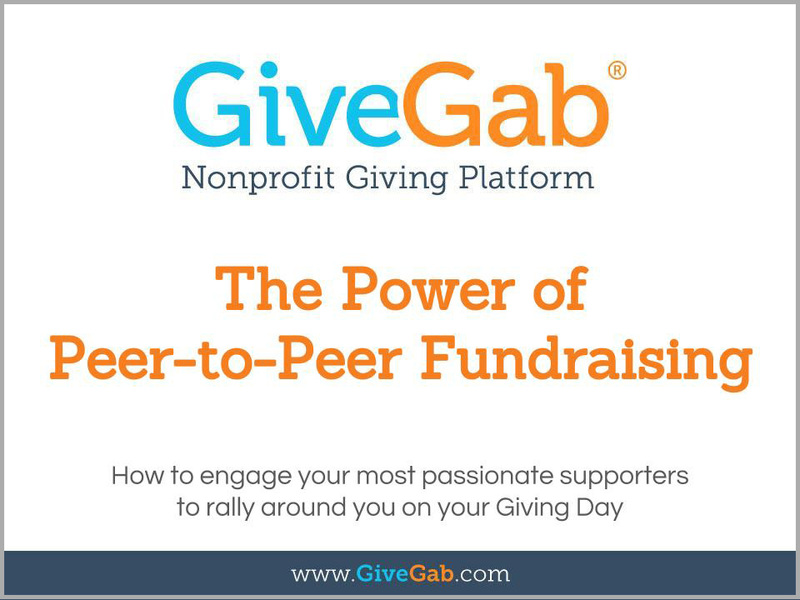 Peer-to-Peer Fundraising is a great way to expand your reach on Nevada's Big Give by utilizing your most passionate supporters to share their stories and fundraise on behalf of your organization. In this training course we'll cover everything you need to know about recruiting and empowering fundraisers for Nevada's Big Give! Nevada's Big Give is the perfect opportunity to engage your supporters both online and off! We'll share nonprofit best practices and creative ways to engage and excite your supporters and your community on Nevada's Big Give. Social media is a great way to engage with your supporters and get them excited about Nevada's Big Give! 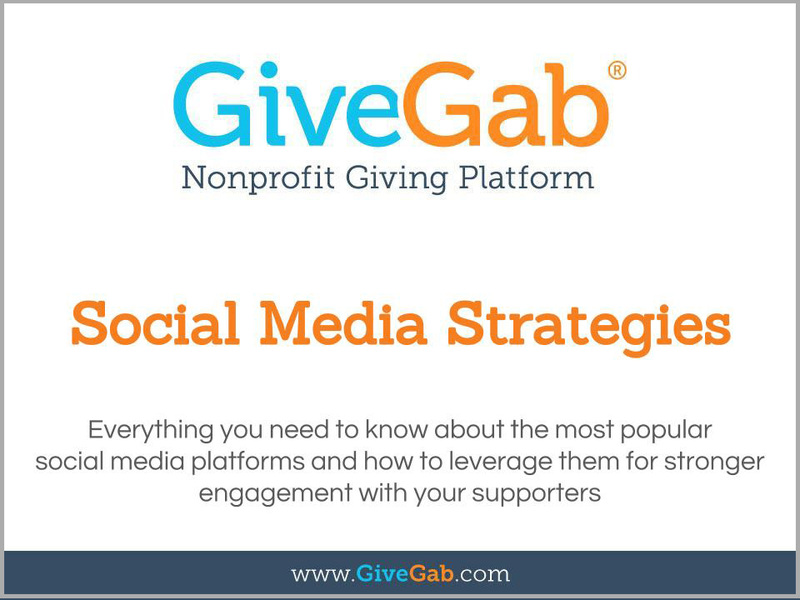 We’ll cover the basics of several popular social media platforms, and how to best leverage them to reach your goals on Nevada's Big Give. When preparing for Nevada's Big Give, your communications with supporters can play an enormous role in your overall success. We’ll cover supporter communication best practices and highlight tools your organization can use for more efficient and effective online engagement. Images have the power to tell stories and evoke emotion in your supporters and potential donors. 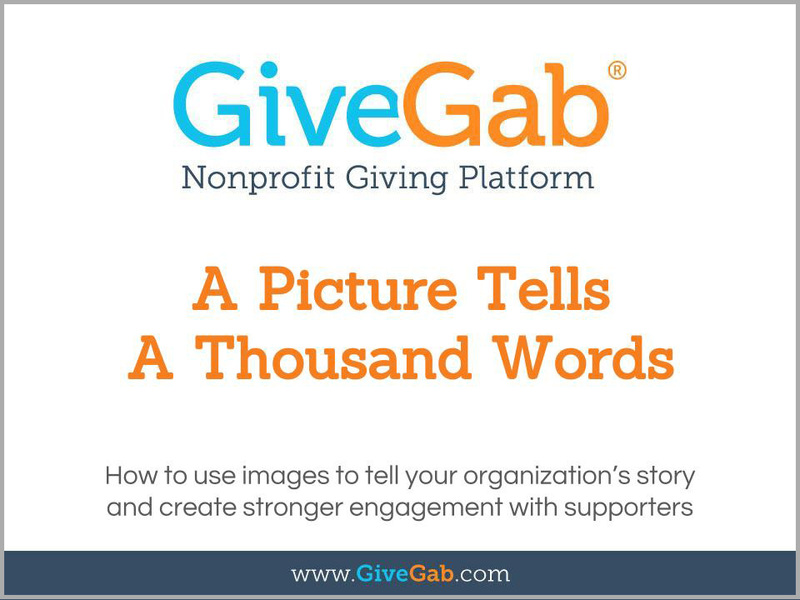 In this training course we’ll go over the impact images can have on your supporters, and how to improve your online engagement during Nevada's Big Give and beyond! For the Giving Day gurus interested in getting the most out of your Nevada's Big Give experience. Our 301 Level Training Videos will highlight best practices and strategies for stronger engagement on Nevada's Big Give and beyond! Getting your board on board for Nevada's Big Give can be a pivotal step in your overall giving day success. 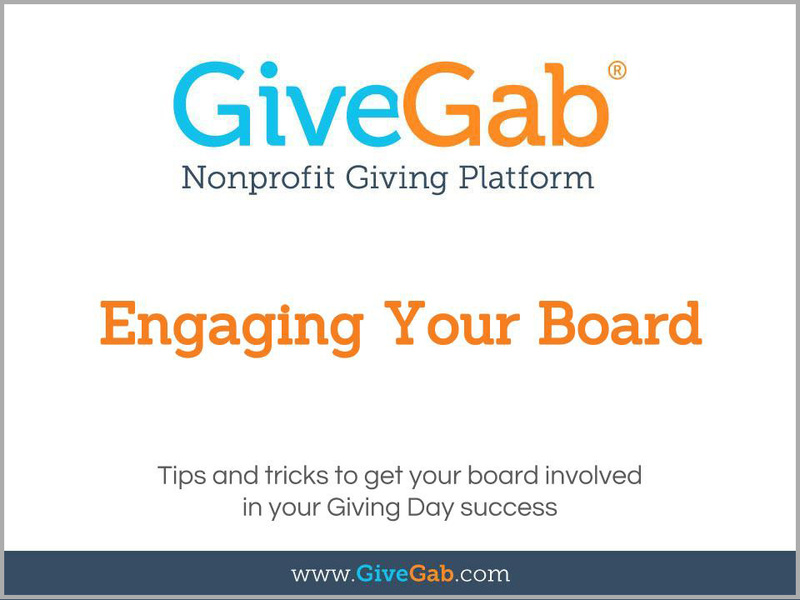 In this training course, we’ll cover strategies and best practices for engaging with your board before, during, and after Nevada's Big Give. Matching challenges are an exciting way to motivate your donors to make a greater impact on Nevada's Big Give and beyond! In this training course we’ll cover best practices for finding sponsors and how to utilize your matching dollars for maximum engagement. Nevada's Big Give is the perfect opportunity to have a little fun with your supporters while motivating them to have a greater impact on your organization. In this training course, we’ll cover how you can utilize the momentum of Nevada's Big Give to create exciting challenges for your supporters. 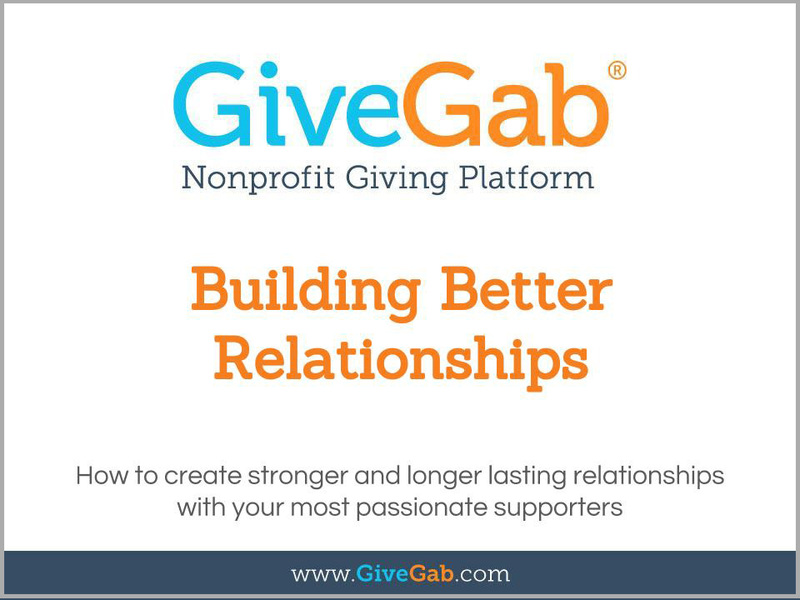 After Nevada's Big Give, it's important to celebrate your new supporters, and start building your new relationships. 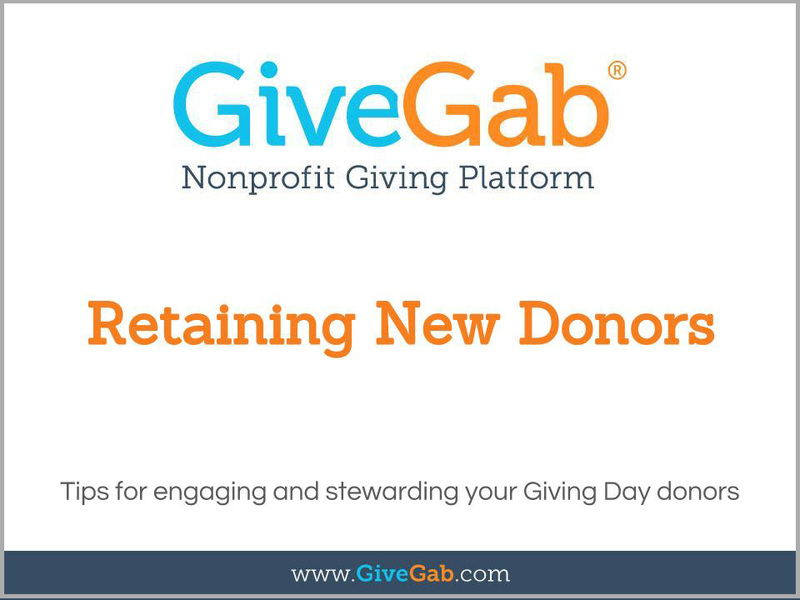 In this training course we’ll cover strategies and best practices for retaining your new donors through engaging opportunities within your organization and beyond. After Nevada's Big Give, it’s time to steward your donors and acknowledge their generous support. In this training course, we’ll cover stewardship best practices and strategies for building stronger and longer lasting relationships with your supporters. Learn about GiveGab, your Nevada's Big Give tech partner, and the nonprofit fundraising and supporter engagement tools available to your organization year round! 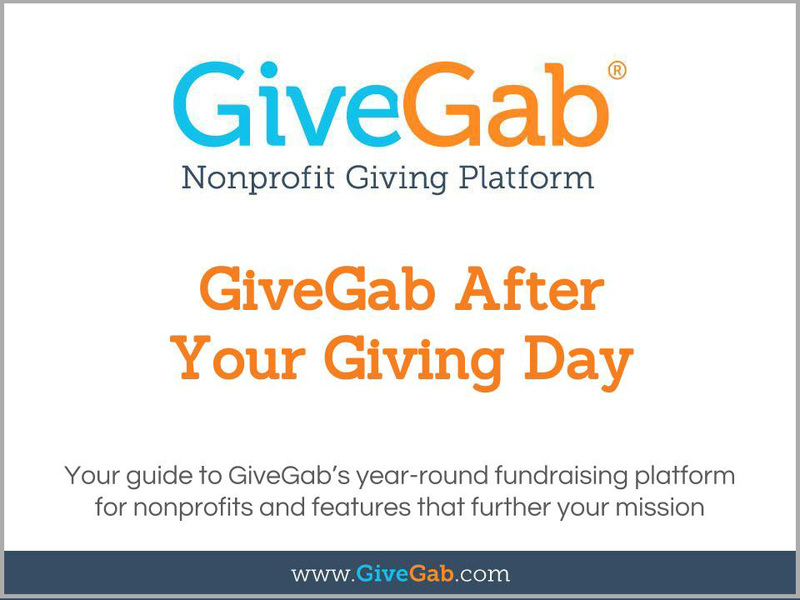 We’ll give an overview of some of our most popular features and pricing plans on GiveGab.